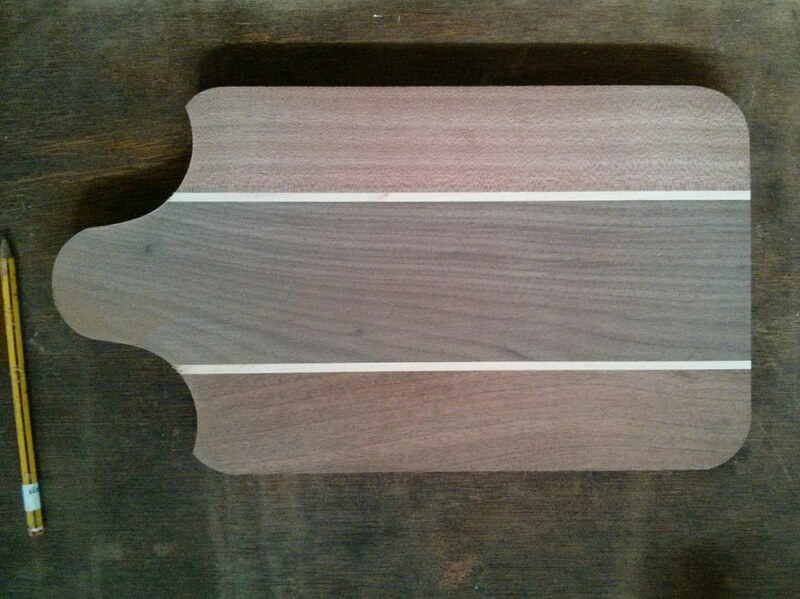 Time for another breadboard/cutting board. 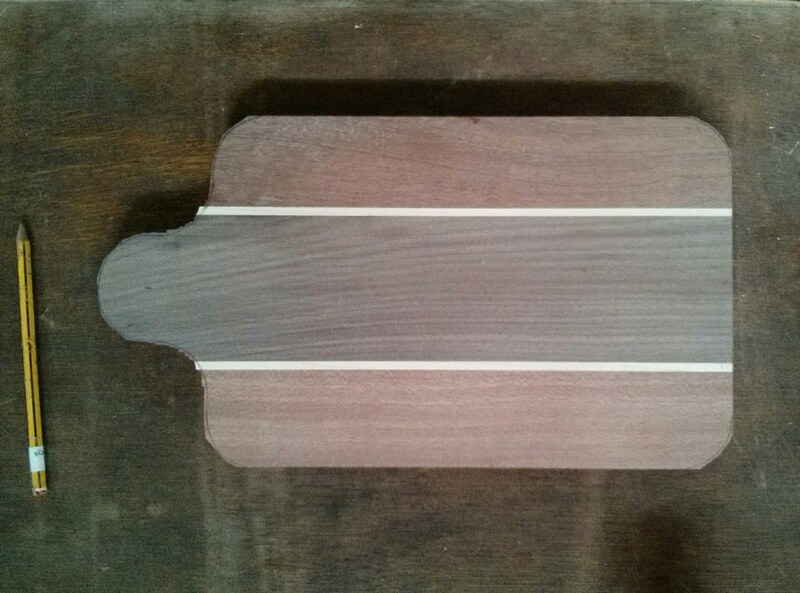 This time I had a piece of American Black Walnut that was longer than the other off-cuts but I decided to leave it long and see if I could shape the end later. I took the photo on a plain background so that I could experiment in Photoshop with different designs. 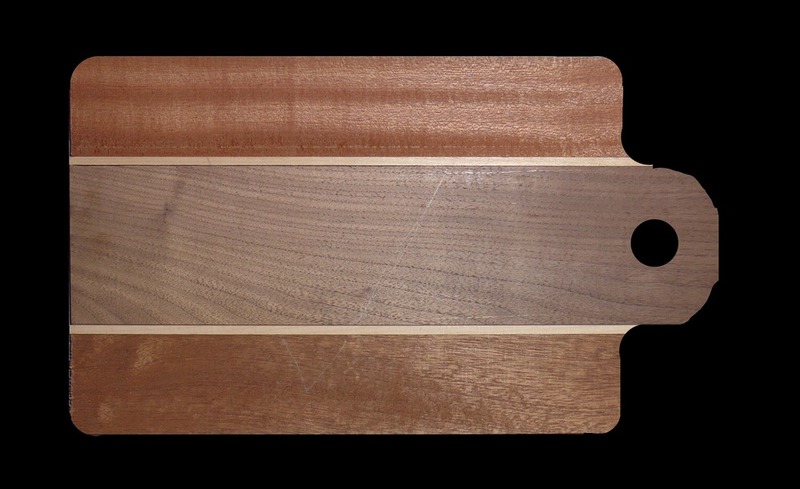 In Photoshop I masked-off parts of the wood to see what sort of design I could have. 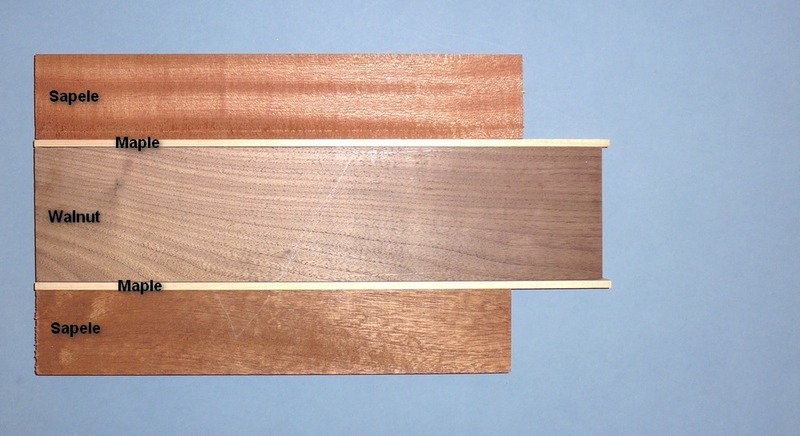 This photo is not the actual board but a copy of the image above with bits masked-off. Back in the workshop I found a plastic lid with a nice diameter (although larger than my Photoshop prototype) to use as a template for the radiused corners. 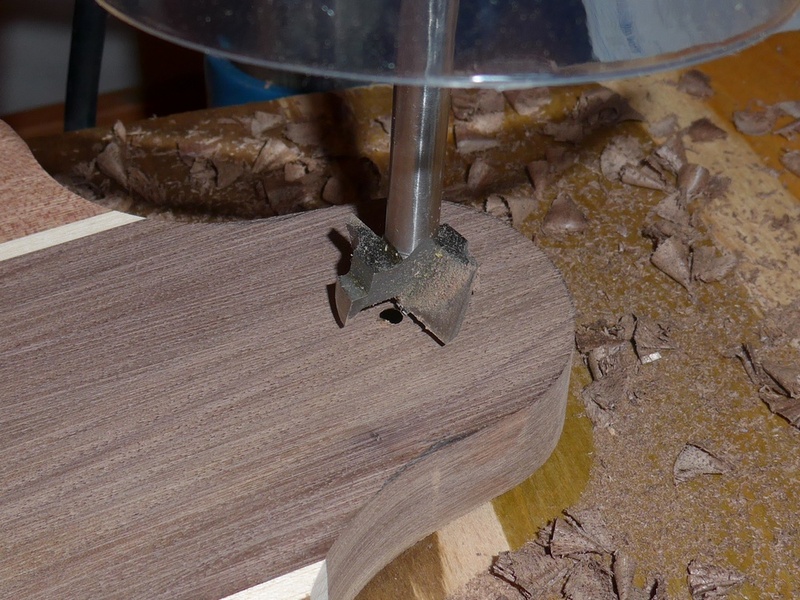 I marked the centre of the walnut where it stuck out and where I estimated the centre of the semicircle should be. 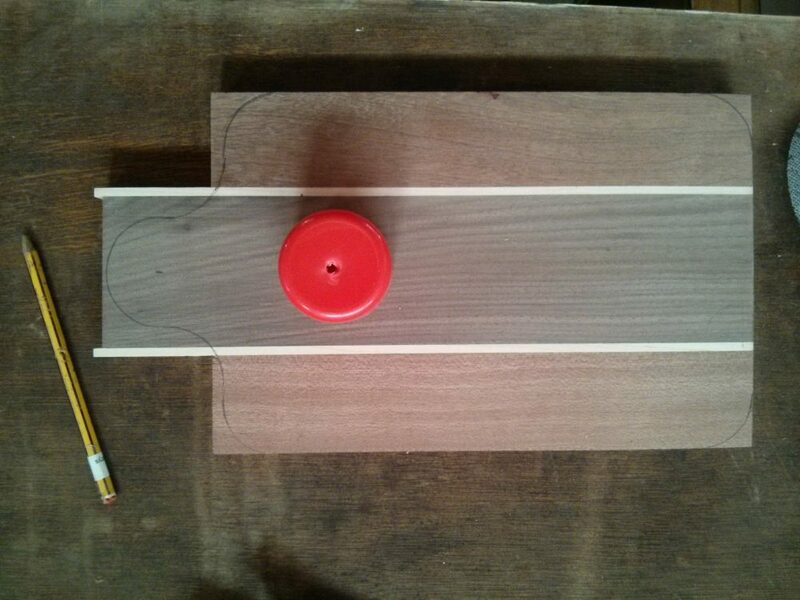 Then I used the lid to trace joined-up quarter-circles on the wood. 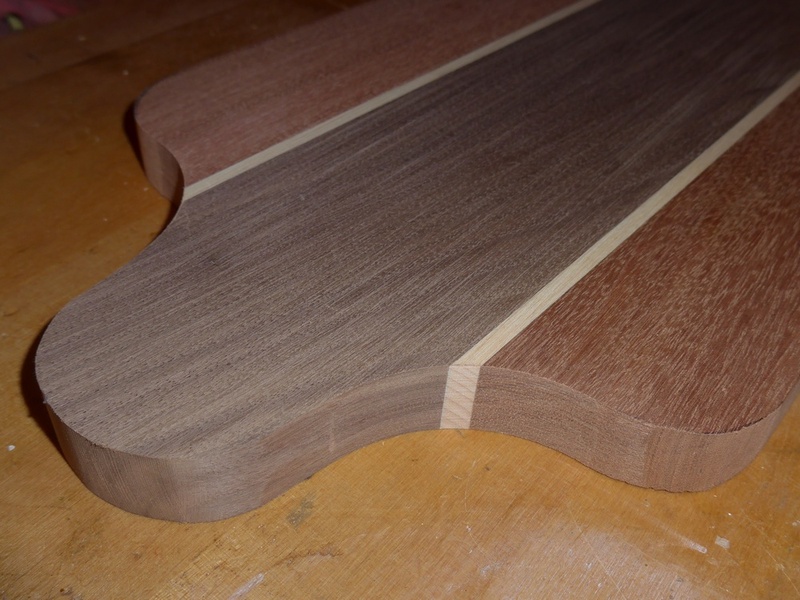 I used the bandsaw to roughly cut-out the shape, keeping outside the lines. 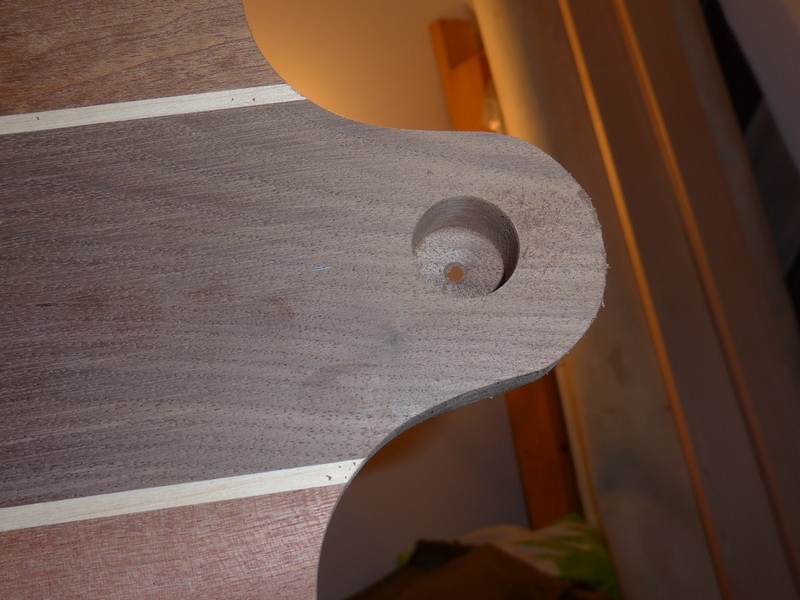 The bandsaw had a 19mm blade fitted so I was unable to follow the curves tightly, especially the internal curves, where it was a case of nibbling away the wood. This task was the ‘real-world’ version of what I had previously done in Photoshop. 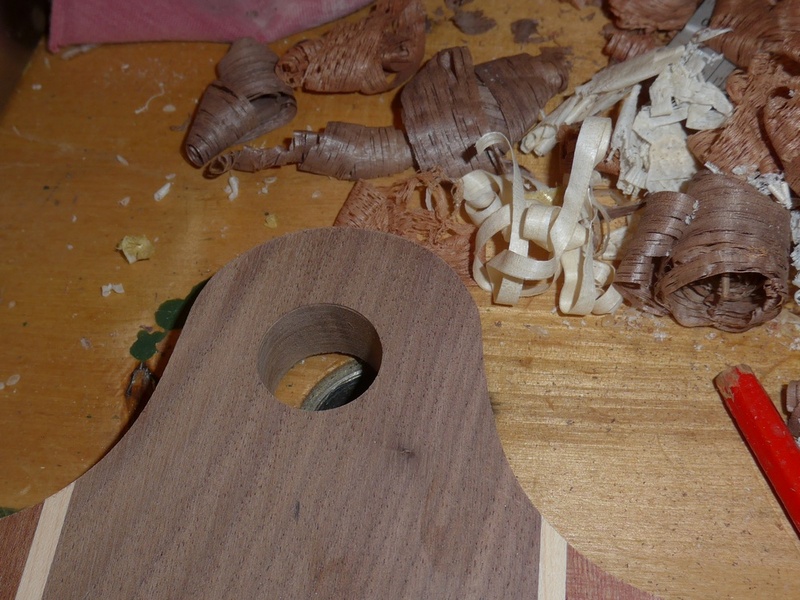 When it came to sanding the outline to its final shape I decided to use the end of my belt sander to shape the internal curves. Unfortunately this had an even larger radius than the plastic lid I had used, so I ended up with a sort of shield shape! 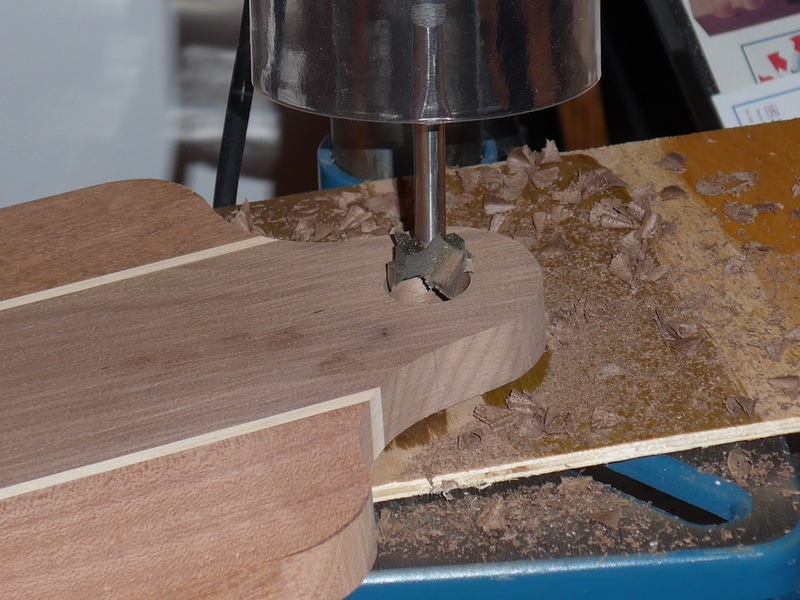 During this project it was obvious that the best tool to sand the internal curves would have been an oscillating spindle sander, but I didn’t have one. 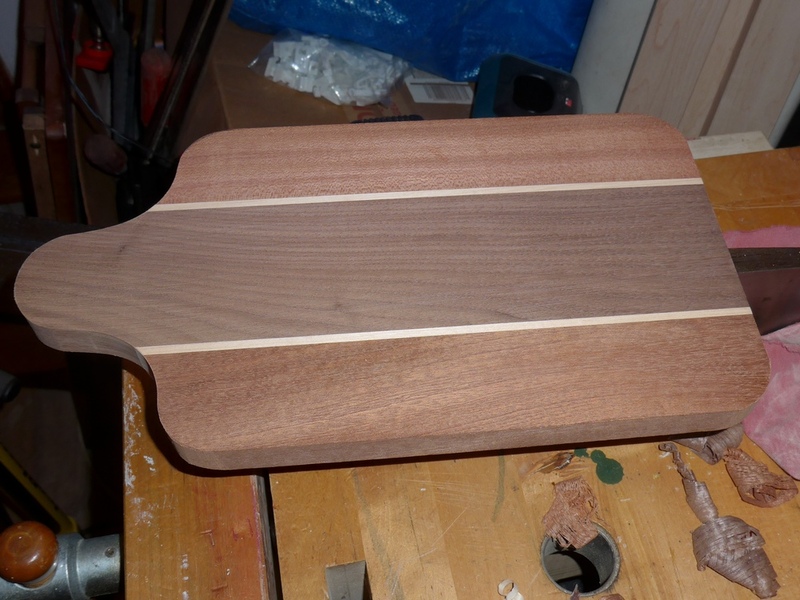 And that was enough justification for me to add a new tool to my collection! So I’ve ordered one and will be reporting on it in the next post.